Looking for inspiration for a girl's name? Check out the most popular girls names of 2014. Every year, the Baby Center collects data from nearly a million parents to compile the most popular baby names. According to the 2014 roundup data, Sophia held the No. 1 spot on the list for the second year in a row. The following four in order are: Emma, Ava, Olivia and Isabella. Interestingly enough, all these names end in the vowel “a.” There are plenty of others on the list that share this form as well, like the No. 6 slot Mia. Other names with the “a” ending include Ella, Nora and Anna – just to name a few. In 2014, there was an increase in parents choosing traditional boy names for their little girl. Some of those sweet names are Charlie, Kennedy and Peyton. In addition, many names like Alexandra and Alexis can be shortened to Alex for a cute and gender-neutral nickname. If you like the idea of using a conventional boy name for your baby girl, you aren’t limited to 2014. Some adorable names that work for both genders are: Blake, Jesse and Max. In addition, some parents add vowels to the end of a name to make it more feminine like Victoria (No. 50 on the list) from Victor. A popular naming tactic is using a location for your baby girl’s name. This technique is great because parents get the opportunity to use places that are significant to them for their baby. For example, if the couple met in a certain town or city that they no longer live in, they can name their baby girl after that place, like Savannah (No. 55 on the 2014 list), Sydney (No. 88) and London (No. 98). That way, their baby girl’s name can embody a family sentiment throughout her life. When she grows up and asks where her name came from, they’ll have a story to tell. Parents across the U.S. have different beliefs and strategies for naming their newborn. There are plenty of trendy names that have a boost in popularity due to a timely factor like pop culture. However, there are traditional names that have held up over time no matter the year. These can be names passed down through family generations or ones that are chosen just because parents like the way hey sound. For girl names in 2014, there are plenty common and conventional names that made the Top 100 list, like Emily, Sarah, Claire, Maria and Samantha. These names stand the test of time and could be a great choice for your sweet girl. Hint: Sometimes finding the perfect name is easier than you think. Review your immediate and extended relatives’ names so you can keep it in the family! Remember that you’re going to need a middle name for your newborn girl, too. 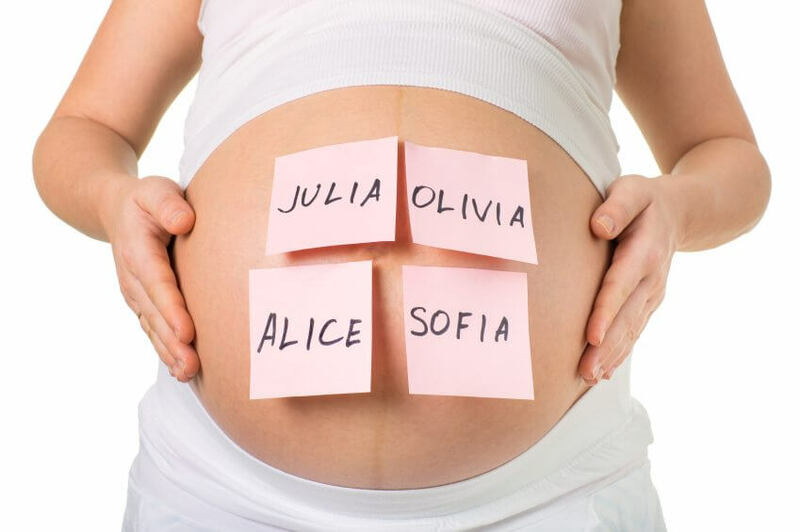 Be sure to start early so that you can choose the most fitting names for your little one.